Evening was falling quickly, and the sun’s light was nothing more than a rosy wash over the waters at Quick Point Nature Preserve on Longboat Key, Florida (where Rick, Matty and I were vacationing last March). A flock of Ibis, several Little Blue Herons and Snowy Egrets, and a single Great Blue Heron were fishing in the shallows. The water was still and the birds were quiet until a second Great Blue Heron decided he wanted to fish right where the first Great Blue Heron had set up camp. As he coasted in for a landing, First Heron immediately showed his displeasure by spreading his wings and raising his head in a warning. First Heron wasted no time defending his territory and immediately went into a threat display. ...he really does look taller, bigger, and scarier! 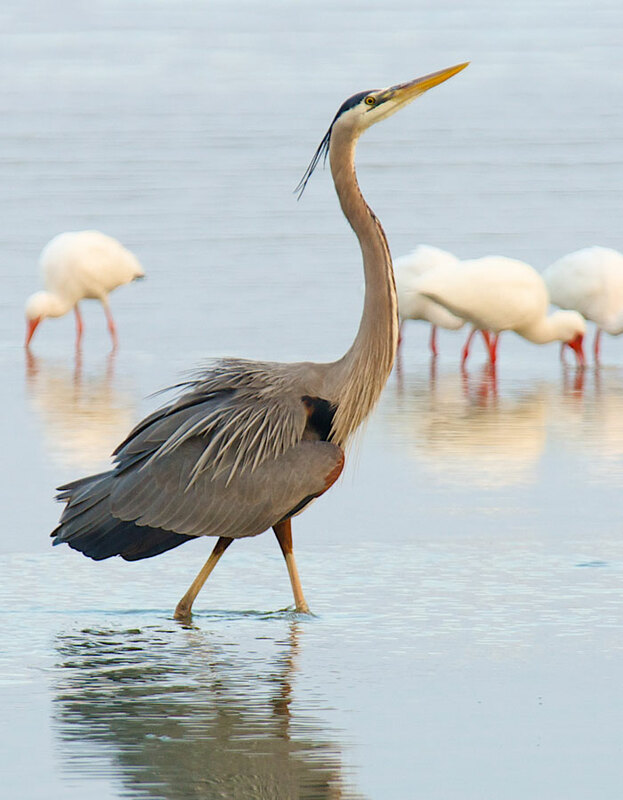 First Heron was vehement in his display and walked around in this posture eyeing the interloper. Second Heron as he coasted in closer. As soon as he landed, Second Heron answered back with his own threat posture, but he wasn't quite as convincing. ...and lifted his head, but never quite as high as First Heron. Rick, Matty and I really enjoyed watching this behavior. At first we wondered if the two herons were engaging in courtship behavior, but their body language soon let us know it was a threat display. 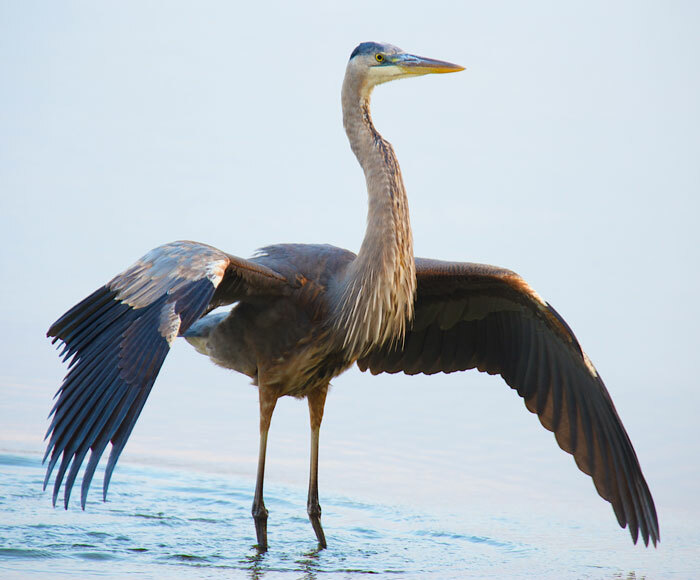 At the heronry in Cincinnati, we've seen a lot of courtship displays in the trees, but we were never lucky enough to witness threat postures and displays because the birds are too timid to fish near humans. Wonderful action & behavior images Kelly! What a cool sight to watch. Wonderful series of photos. 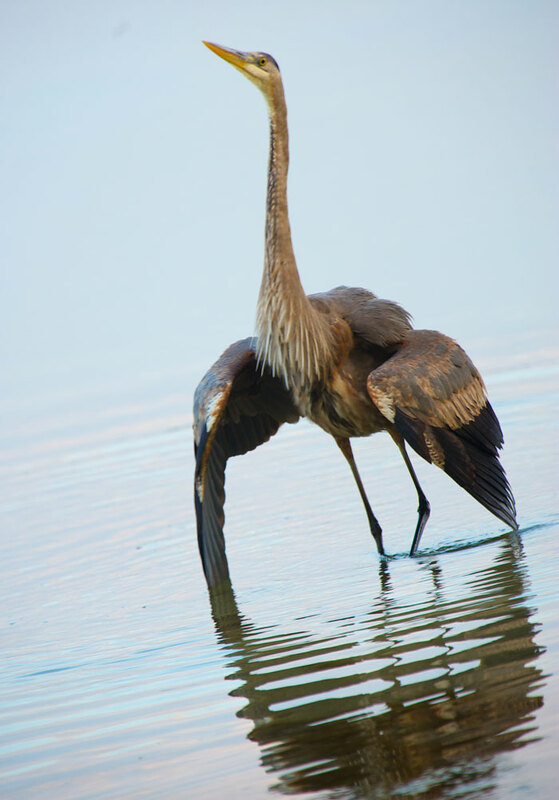 I"m an avian "behavior fanatic" and really enjoyed this series of photos. What a great series of photos. Right place at the right time! Stellar series of photos with great dialogue. It's easy to see why their behavior was so engaging. Kind of one of those 'the world stood still' moments, as you watched the scene play out. These are some super action pictures of the heron Kelly. 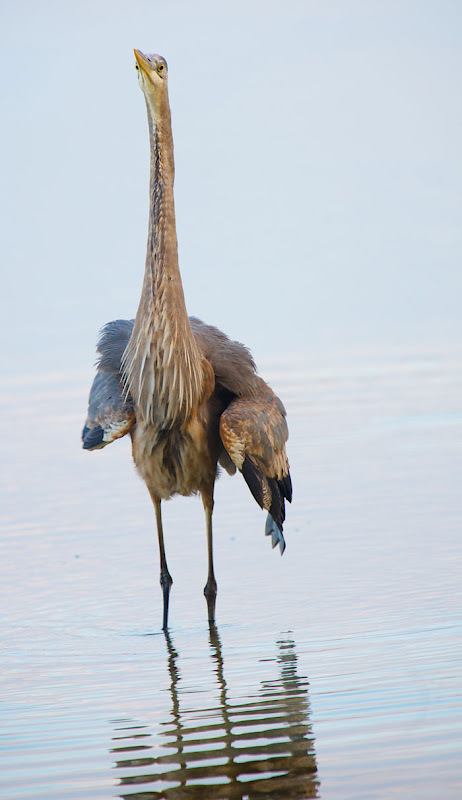 Oh Kelly, these are marvelous photographs of the two herons squaring off! 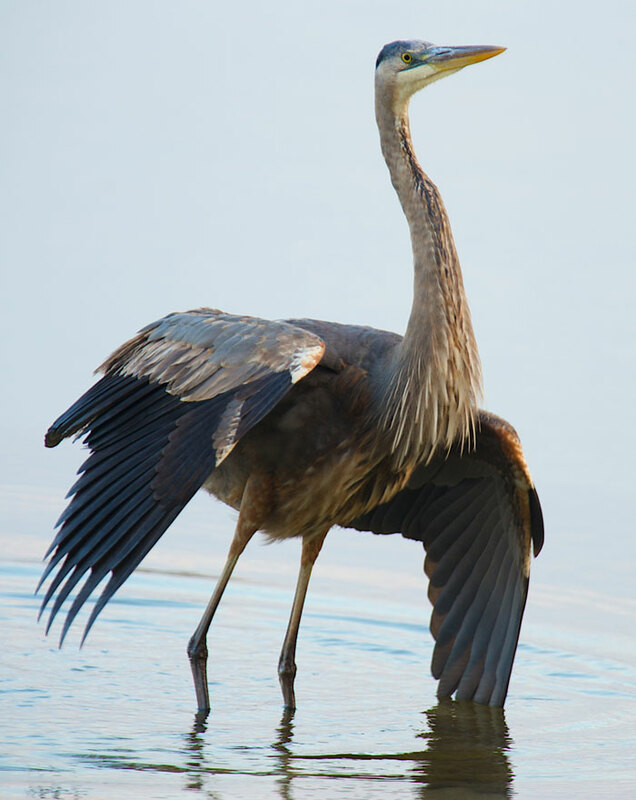 The images show off heron behavior so very well. 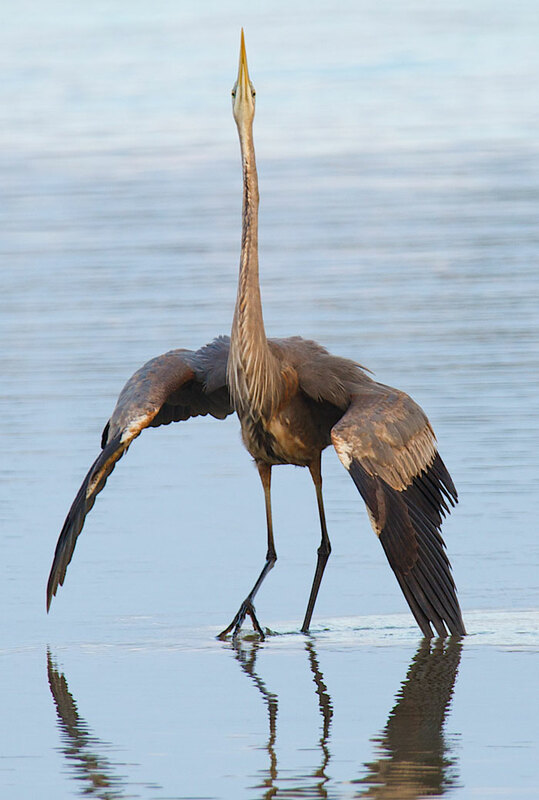 You captured fascinating stances and the especially lovely feathers. Outstanding! I had to laugh when reading this wonderful post. My future (currently in draft) Birding is Fun! post features two Great Egrets engaged in a territorial dispute. Coincidentally ... the photographs were taken at Quick Point Nature Preserve on Longboat Key! I guess that is the place to visit for action shots. Wow...very cool photos of a very cool encounter!!! Magnificent behaviour photography which is also very beautiful. My favourite is the female heron coasting in with her feet just brushing the water surface. Excellent. Very cool Kelly! 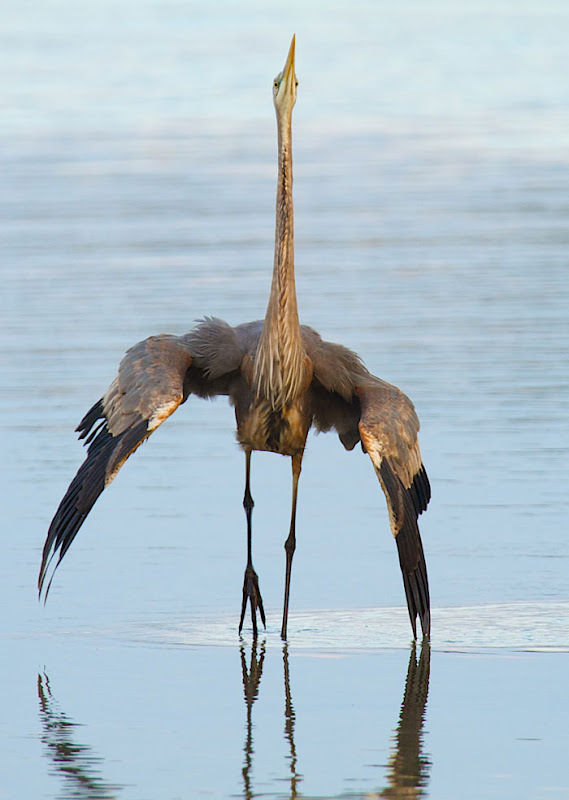 I really enjoy interesting bird behavior displayed by beautiful photographs. Nice work! Kelly, you have done it again! 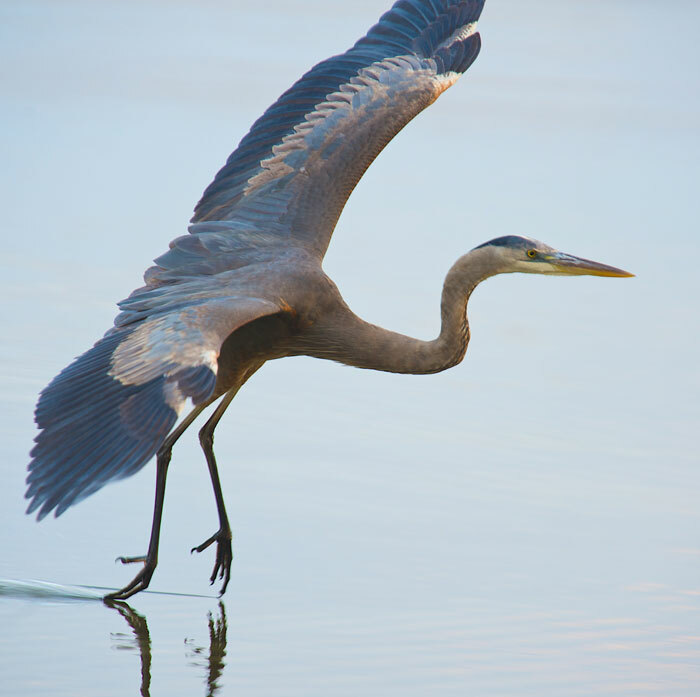 These images of the Great Blue Herons engaging in territorial displays are absolutely exquisite! For me, bird watching is all about behavior and you have documented this encounter perfectly. 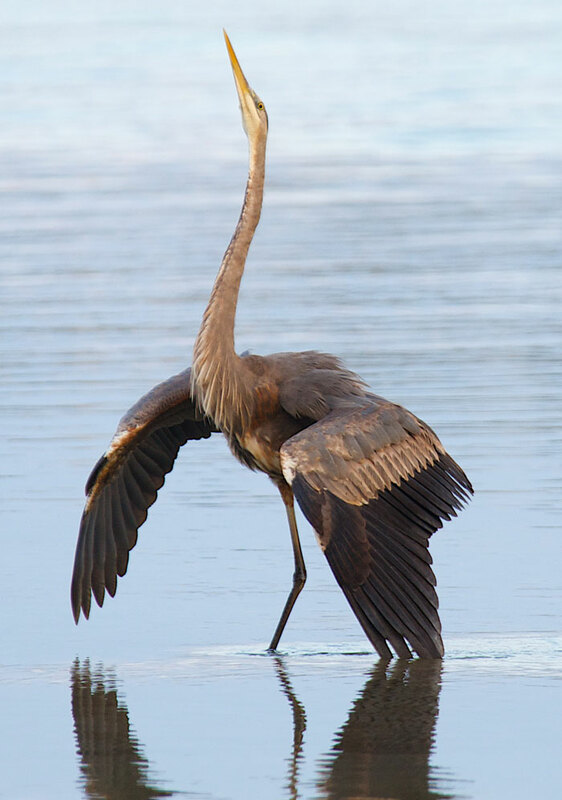 The last shot of the "victorious" heron, with its crest feathers erected, tells all. ...aahhhh....you guys are so nice! Thank you. What a scene. Matty, Rick and I were so excited to see it. I've seen snippets of the behavior before, but nothing so defined and prolonged. Kelly, how amazing! I have never observed this behavior before either! You got some nice photos and a great story to boot!